Once you’ve finalized the purchase of your basic guitar rig – you’ve got your guitar, your amp, and you’ve practiced a while – you’ll probably be looking for a way to make your sound more interesting and unique. This is done through effect pedals, but if you’ve never used one before, you might not be sure what you should get. It’s not that difficult to choose the right ones for you though – there aren’t many kinds available (when you consider the most general types), and as long as you keep everything simple, you’ll have an easy time. Let’s start with the basics – you’re going to need a tuner pedal, and a good one too. This is one of the basic accessories any guitar player needs – even though you might be able to do your tuning manually using your hearing, it gets a lot more difficult when you’re on a stage surrounded by noise. A tuner pedal is used to disconnect the signal from your guitar, allowing you to tune it without bothering the audience – while at the same time giving you visual hints to help you tune the instrument better. Yes, this isn’t an effect pedal in the end – but it’s still something vital to your good playing. 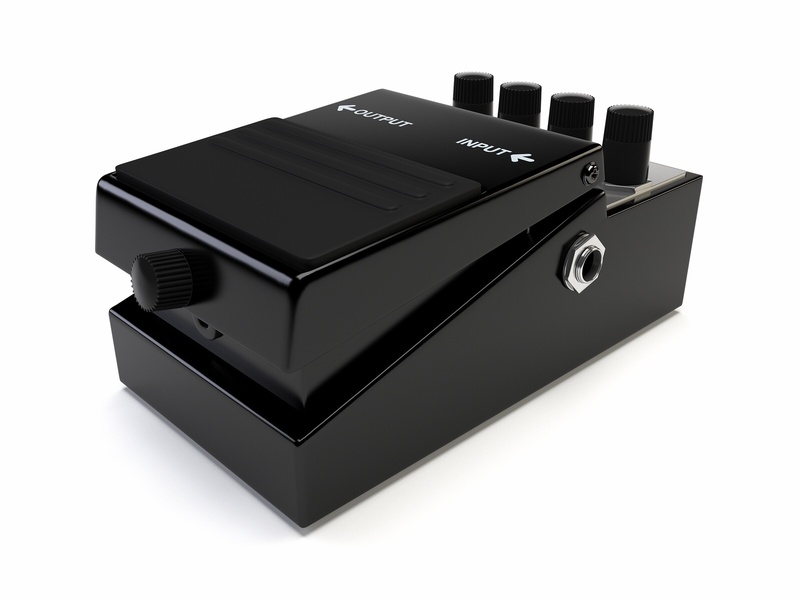 For an actual effect pedal, look for a good reverb pedal. It’s one of the most basic types you can get, and you’ll definitely need it – the only exception to this rule is if you have an amp with a high-quality reverb system built in. Reverb can add a great deal of depth and atmosphere to your music. There are various specific types of reverb you can go with, from specialized high-tech digital designs to some really simplistic ones. One of the most popular reverbs is designed after the spring reverb used in some of Fender’s early amp models. These can be quite costly, but they also spice up your music a lot too. Make sure you check out each pedal while you’re shopping in order to know what you’re buying exactly. Another popular type of pedal is the distortion pedal. As the name implies, this pedal distorts the signal from the guitar in order to give it a more unique feeling. There are various methods that can be used to achieve this, so every pedal sounds different – and because of this, it’s not easy to give tips on buying a pedal of this kind. As a general rule, make sure it doesn’t sound too harsh – this is a common problem with inferior quality distortion pedals. A delay pedal is also something you’re going to need. This pedal is used to play back a sample from your guitar in a loop, decaying the sound by a preset setting. U2, Led Zeppelin, Pink Floyd, Queen are popular for utilizing this effect quite a lot, and it’s quite a complicated one, relying on some precise timing mechanisms to synchronize everything, which is why it can be a bit costly. Make sure that you get one with easily understandable controls, as it’s not uncommon for guitarists to waste a lot of time fumbling with their delay pedal settings on stage. As for the fifth pedal – just use your imagination. Every guitar player eventually finds their own style, and it’s important that you check out all the different pedals there are and pick something that you personally like. If you want to get something wacky-sounding, you can go with a flanger. A wah pedal is also an interesting choice, though be careful since overusing it tends to draw some negative associations with certain styles of music where it’s used extensively. List of Other Guitar Effects.